Emotional marketing has to feel honest, real and authentic to the customer in order for it to work. To do this, you need to know your audience and customers and have a strong brand identity . When people are inspired, they often think or act differently. Over 65% of people that feel an emotional connection to a brand, say it’s because “they care about people like me.” Neuro-imagery scans show that when consumers evaluate brands, they rely their emotions more than facts.. 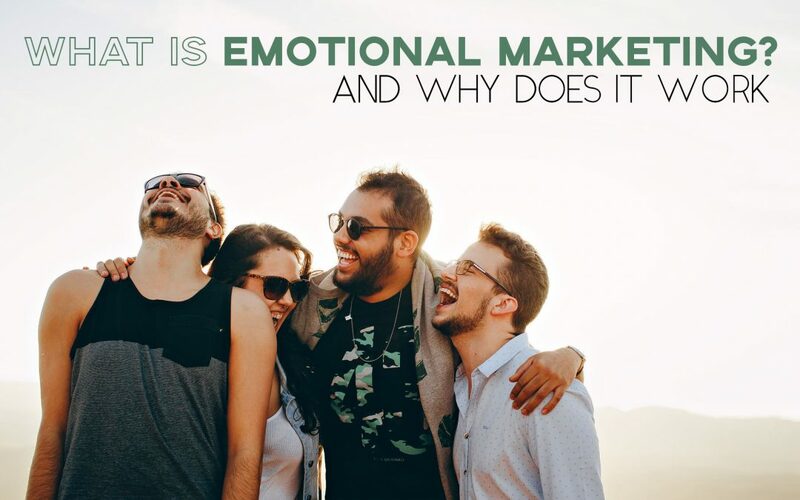 When you’re working to create your next marketing campaign, consider how you will connect to your customer emotionally, versus intellectually. Emotional marketing,helps build a customer’s self-esteem, individuality, and personal choices. When a brand connects to their customers on an emotional level, they are more likely to become attached to the brand. You get them, and they get you. This is why emotional marketing is so genius. When effectively accomplished, the marketing strategies don’t feel like marketing at all.Advertisements and marketing components will start feeling familiar and comfortable to customers. A marketing strategy focused on appealing to consumers’ deep and most personal emotions can turn a company or brand that no one knows about into a bread customers care about.. Scientists have uncovered that humans feel first and think second. When confronted with sensory information, the emotional section of the brain can process the information in one-fifth of the time the cognitive section requires. Even when companies aren’t intentionally trying to pull on the heartstrings of their customers, customers still will engage in their emotions when it comes to making that final purchase\. To maximize the most out of a marketing campaign, define how your company’s product will help improve your customer’s life by making it easier, better, and joyful.